Using Wood Ash Wisely | Gardens Alive! Question. Hi Mike: Is there a way to use fireplace ash that would be beneficial to my garden or lawn? If not, what is the best way to dispose of the stuff? Answer. Thank you, Doug. 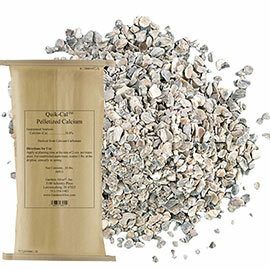 As you note, I've long cautioned gardeners not to include anything other than very small quantities of wood ash in a compost pile—a little of this highly alkaline material goes a long way. 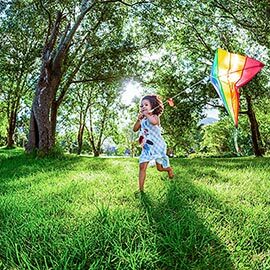 But those of us with naturally acidic soils can (and should) use much larger amounts on our lawns and gardens—as a substitute for lime. Before we get to that, however, I'd like to take a moment to try and pry your incendiary little fingers away from those piles. Yes, we guys love to set stuff on fire—especially in the name of 'yard work'. But such burning fouls the air, adds greenhouse gases we don't need, and wastes lots of nutrients. Pile up your "garden/yard" items and they'll turn into nice compost, especially with lots of leaves in the mix. Stack the branches on the outskirts of your property to provide habitat for toads, birds and other beneficials. (And you'll find a surprising amount of compost at the bottom of those piles after a few years.) If you can't go completely 'burn turkey', consider cutting back to one small bonfire a year to satisfy your inner firebug, and get better use out of the rest of that wood. And good quality hardwood ashes—that means no ashes from BBQ grills, cardboard, plywood, painted, or pressure treated wood—do have real agricultural use. (Softwoods have a lot less value, but you shouldn't be burning soft wood in a stove or fireplace anyway.) The best information on how to properly utilize the valuable material in wood ash is contained in a couple of great farm-scale articles from the Georgia Extension Service and the government of Alberta's department of Agriculture, Food and Rural Development. We'll post links to those articles at this end of this Q of the Week for those of you who want all the details. To help put the advice into garden-size perspective, we turned to Julia Gaskin, a Land Application Specialist for the University of Georgia Extension Service who recently updated their wood ash information article. She explains that ash from good quality hardwoods contains a very nice amount of potassium; at least 3% by weight. Also known as potash, this is the "K" in the fabled N-P-K scale of plant nutrients—the Dow Jones of Horticulture! Potash improves root health and strengthens the very cellular structure of plants, helping them resist all kinds of stresses. Wood Ash also contains lots of micronutrients, and, on average, 15% calcium—a nutrient often lacking in many of our soils and fertilizers. Ashes even improve the structure and tilth of soils. But they must be used with care, as all that calcium makes them highly alkaline—a range of 9 to 13—and they WILL change your soil's pH. But that's OK, because that's exactly what you going to be using them to do. So the first thing you need is a soiltest. I know—I always say that. And I'm always right! This time double, because you'll be using those ashes to actively change the pH of your soil and you need to know where you're starting from. 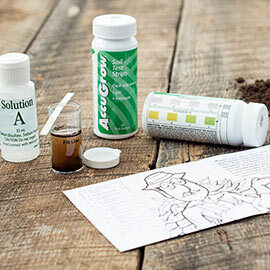 All soil tests report pH—the measure of your soil's acidity or alkalinity. The center of this scale is the number 7, the scientific neutral. I say 'scientific', because most plants prefer soil to be a little acidic, around 6.5, for good growth. Some of our most popular plants, however, require a highly acidic soil (in the 4 to 5.5 range) to survive: azaleas, rhododendrons, blueberries, mums, marigolds, mountainlaurel, oak,pecan and sweet potato to name a few. Keep your alkaline ashes far away from these and other acid lovers. But many parts of the country—especially areas with heavy rainfall—have soils that are naturally down in that highly acidic range, which your regular plants do not enjoy one bit. Normally people use lime to correct this, which is why soil test results often include a "liming recommendation", specifying how many pounds of lime per thousand square feet to add to your lawn or garden to bring the pH up to around 6.5. Good quality hardwood ashes contain about half to two-thirds the"calcium carbonate equivalency" of lime, so you'd use one and a half to twice as much ash (by weight) to follow your soil test recommendations. In other words, if you're told to spread ten pounds of lime, you can achieve the same goals with 15 to 20 pounds of hardwood ash. But I suggest being cautious and applying the same amount of ash as lime was called for—you'll still be moving the pH in the right direction and adding those wonderful nutrients, but avoiding possible alkalinity problems. Much easier to add a little more later than to try and take some out when you realize you went overboard. The best time to do this is in the Fall, which, of course, is also when you have the least ashes. Ideally, save up this year's ashes for fall use. Otherwise, try and spread them over winter. No matter what, don't plant seeds or seedlings until at least two weeks after ash has been applied, or wait until new plants are a few weeks old to spread it. (The smaller they are, the more dramatically plants may react to the sudden change in pH.) Dust the ashes right onto the surface of your lawn, but mix it into the soil for best results in the garden. Oh, and if you live in a naturally alkaline area, like some of our Oklahoma and Texas listeners, you shouldn't add any ash to your lawn or garden. Instead, try using large amounts to kill problem weeds like kudzu and thistle by raising their soil's pH to plant-deadly levels—horticultural vinegar in reverse!